BRONX (WABC) -- Police have identified a suspect, and are now on the hunt for him, in the stray bullet death of a woman in the Bronx. 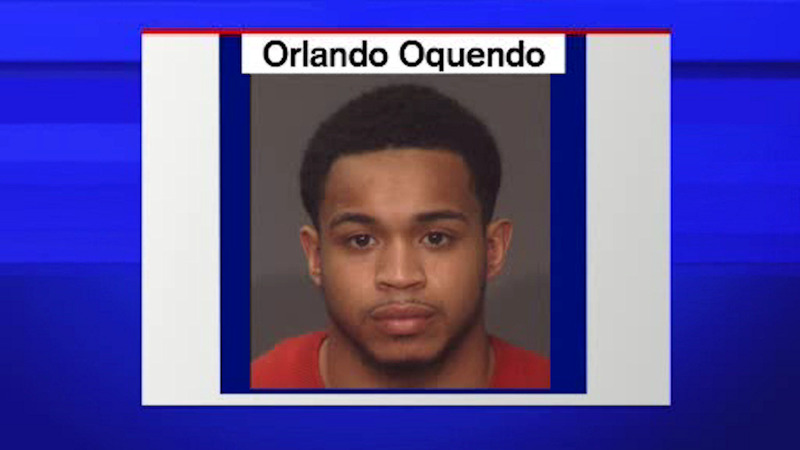 Police are looking 17-year-old Orlando Oquendo. He was chasing a man on Courtland Avenue Wednesday afternoon when he allegedly fired his gun. The bullet struck and killed 45-year-old Maribel Cavero-Reyes, who was on her way to pick up her niece from school.